September 14, 2018 5:31 pm. Winx will be aiming for her 20th Group One win when she runs in the George Main Stakes. Everyone dreams of breeding or owning a champion. When Winx was born on September 14 seven years ago, no-one could have foreseen what she would become. As a yearling the filly was on bloodstock agent Guy Mulcaster’s short list of horses he was recommending to Debbie Kepitis, Peter Tighe and Richard Treweeke at the 2013 Magic Millions sale. The three were friends looking to buy a horse to race together with trainer Chris Waller but they had to go to $230,000, a little higher than planned. Almost $16 million and 19 Group One wins later, Winx is beyond an investment, she is a treasure, and ranked the best horse in the world. On Saturday at Randwick she is odds-on to make it Group One No. 20 in the George Main Stakes and extend her winning streak to 27. Like Waller, her jockey Hugh Bowman is an integral cog in the wheel and he has no doubt as a seven-year-old she is as good as, if not better than ever. 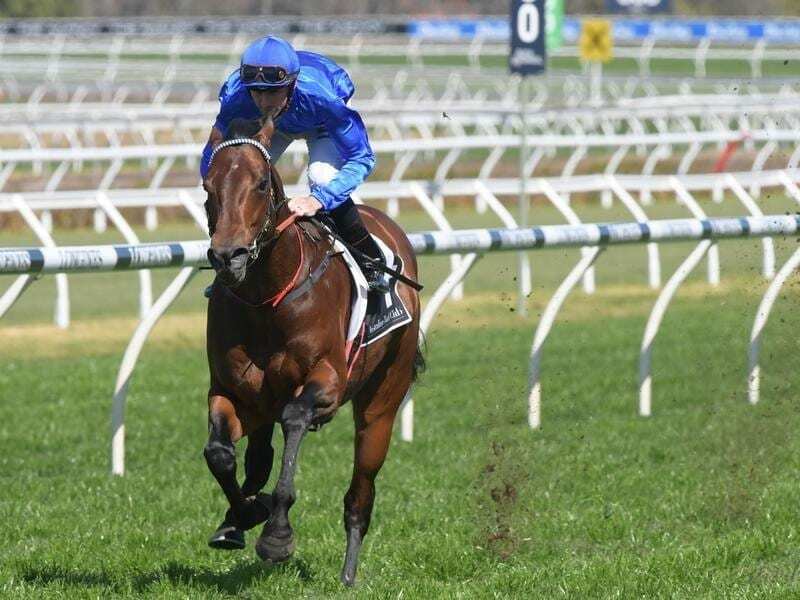 He believes bad luck is the only thing in her way but with a well-established pattern of racing, Winx usually makes her own luck. Religify is one of four of the mare’s stablemates in the race and the one Bowman and other form students believe is the most likely leader. “I’ve ridden Religify quite a bit so I know him well,” Bowman said. “His style of racing is to go at a nice, even pace which suits him rolling along in front. “That will ensure a pretty even gallop so it’s not going to be a muddling speed. “I’ve drawn barrier three, so as always we’ll try to get her out of the barriers as smoothly as we can. The business end is where Winx does all the damage when she traditionally steps up to another gear and mows down her rivals. Waller has no reason to doubt it will happen again. “Everything has gone smoothly in the four weeks since her last race,” he said.